Doreen has been practicing the fine art of running since childhood but only in the last decade has found herself toeing the line of races and sharing in the joy of the sport with like-minded friends. 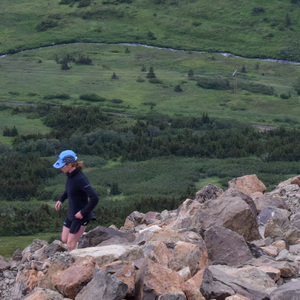 She finds the most freedom and spirit from running trails but has occasionally been known to venture out onto the tarmac for training and competition. Doreen Fanton has been a guest on 1 episode.